Why Does a Parent Qualify for More Financial Aid than Her Dependent Student Child When Both are in College? Parents vs. children and financial aid eligibility. I am a 38-year-old wife and mother who decided to go to college 20 years out of high school. I am a student at an online college and receive financial aid myself. My son is a high school senior with a very small part time job at the local Burger King. He plans to attend an out-of-state college, however those plans may be dashed after this morning. We filled out a FAFSA for him this morning and it showed an estimate of $2,600 Pell Grant and $5,500 Direct Loan. My question is why does he qualify for less aid than I get if our financial aid is based on the same household income? And is there anything we can do to get his increased? — Amy G. There are many reasons why a dependent student may qualify for a different amount of financial aid than his parent who is also enrolled in college. Most forms of need-based financial aid are based on financial need. Financial need is defined as the difference between the college's cost of attendance (COA) and the expected family contribution (EFC). Financial need can increase with decreases in the EFC and/or increases in the COA. So if the parent is enrolled at a more expensive college, the amount of financial aid the parent receives may be greater. The COA also acts as a cap on the amount of financial aid. The parent's EFC may also differ from the student's EFC. This affects the financial need, indirectly affecting the amount of need-based financial aid. It can also directly affect the amount of the Pell Grant, which is based on the EFC, not financial need. The student's income and assets may contribute to the student having a higher EFC. The student's EFC is increased by 50% of his income above the income protection allowance for dependent students (about $6,000) and by 20% of his assets. The student's income and assets are not reported on the parent's FAFSA and so do not affect the parent's EFC. On the student's Free Application for Federal Student Aid (FAFSA), the number in college figure does not include the parent. On the parent's FAFSA, both the student and parent are included in the number in college figure. Whether a parent can be counted in the number in college on a dependent student's FAFSA has been subject to the discretion of college financial aid administrators since the Higher Education Amendments of 1992. The number in college can have a big impact on the EFC, since the parent contribution is divided by the number in college. 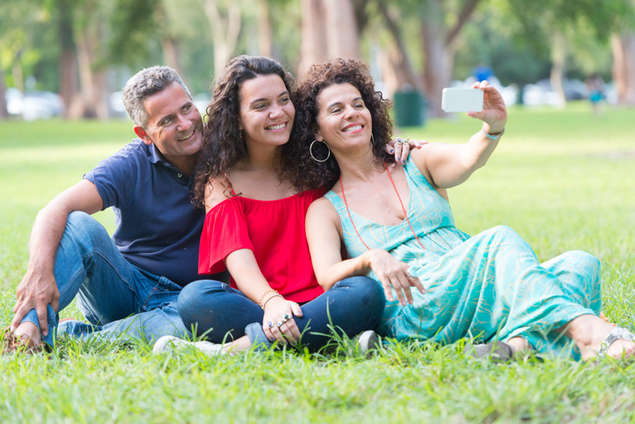 Parents who are enrolled in college at the same time as their dependent students may wish to ask their student's college financial aid administrator for a professional judgment review. Some colleges call this a special circumstances review or financial aid appeal. The financial aid administrator will want to see proof of the parent's enrollment, such as a copy of a paid bursar's bill. The financial aid administrator will verify the enrollment with the other college because this data element is prone to fraud. If the financial aid administrator decides to make an adjustment, some will increase the number in college figure while others will subtract amounts paid by the parent from parent income. There are also some differences because the student is a dependent student while the student's parent is an independent student. A dependent student's EFC may include up to 5.64% of the parent's assets. The EFC of an independent student with dependents other than a spouse may include up to 3.29% of the assets of the independent student (and spouse, if any). The asset conversion rate for independent students with dependents other than a spouse was decreased from 12% to 7% by the College Cost Reduction and Access Act of 2007. The asset protection allowance for a dependent student is based on the age of the older parent. The asset protection allowance for an independent student is based on the age of the student. The age of the student's spouse is ignored. If the parent who is enrolled in college is the younger parent, each year of difference in the parent ages can yield as much as an $80 increase in the EFC. Loan limits also differ for dependent and independent students. The annual Stafford loan limit for an independent student is $4,000 or $5,000 higher than the limit for dependent students, depending on the year in school. The aggregate Stafford loan limit for a dependent student is $31,000, much lower than the $57,500 limit for an independent student. The parent of a dependent student can borrow from the Parent PLUS loan program, however. (If a dependent student's parent is unable to borrow from the Parent PLUS loan program due to an adverse credit history, the student will be able to borrow at the higher Stafford loan limits for independent students.) An independent student who is not in graduate or professional school cannot borrow from the PLUS loan program.